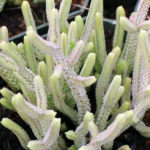 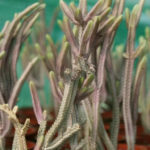 Crassula muscosa f. variegata is a small succulent plant with tiny, variegated light green and creamy leaves, densely packed around the thin stem, forming a square mass. 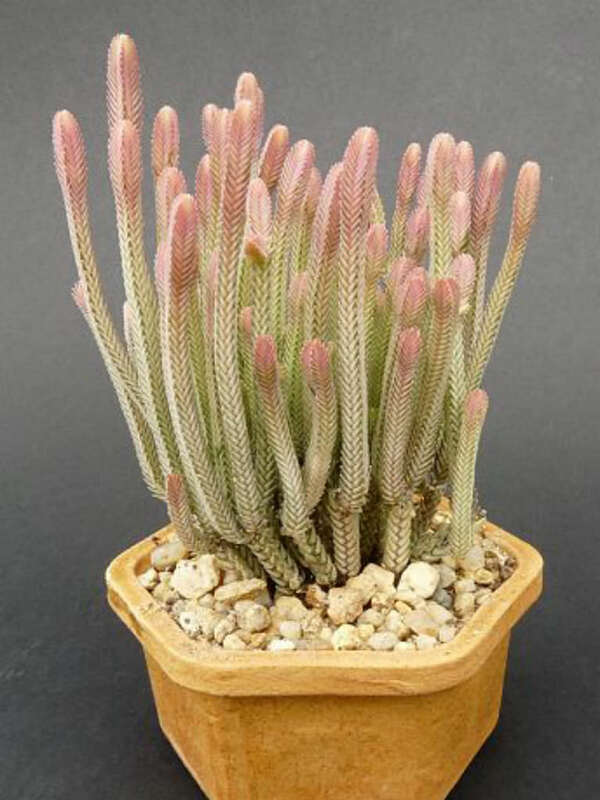 It grows as an intricate bush up to 12 inches (30 cm) tall. 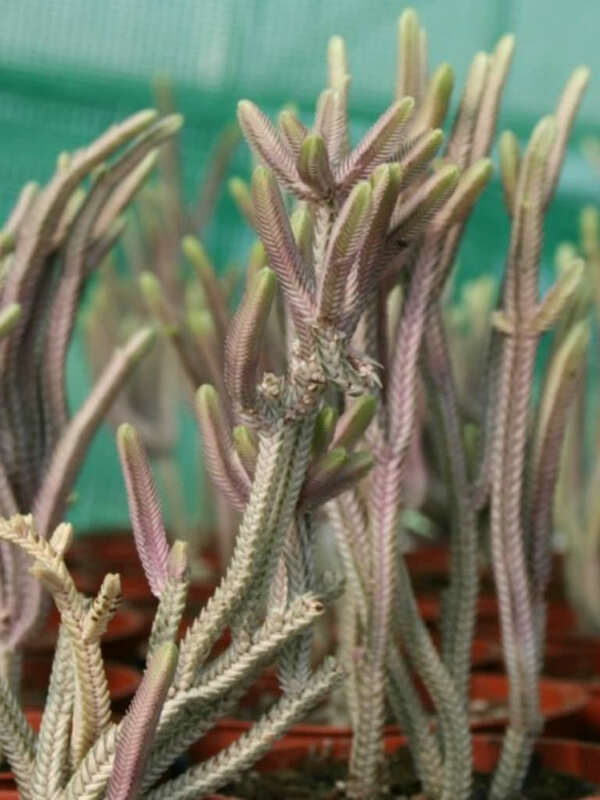 The flowers are small and yellow-green. 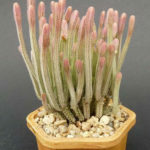 Crassula muscosa var. 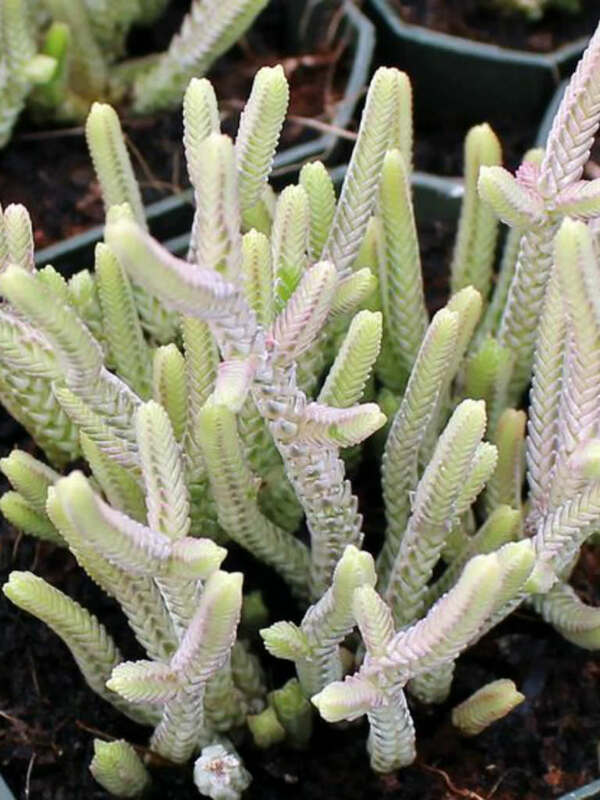 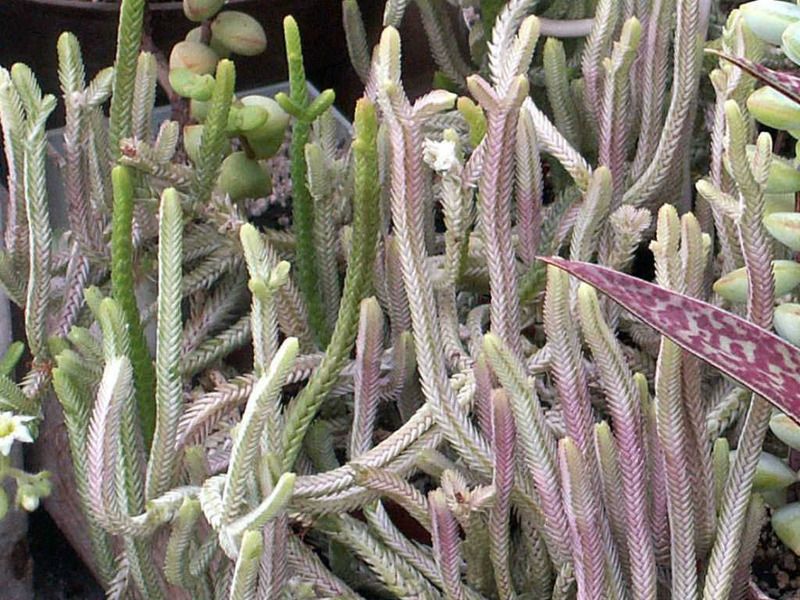 variegata is variegated form of Crassula muscosa.